After coming to grips with the importance of this issue, and hearing conflicting opinions for the last few years, I determined to research this question thoroughly and communicate my findings, whether or not I liked what I found. I wanted, and still want, the answer to this question to be "No." I came to this issue as a skeptic. Though I heard people here and there make an occasional claim that the Pill caused abortions, I learned long ago not to trust everything said by sincere Christians, who are sometimes long on zeal but short on careful research. 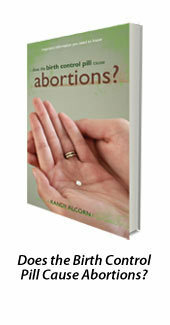 Click the button below to add the Does the Birth Control Pill Cause Abortions? by Randy Alcorn to your wish list.